Our future depends on exploring all the frontiers of science, on innovative technologies based on these explorations and on the development of scientific literacy in all peoples through science education. 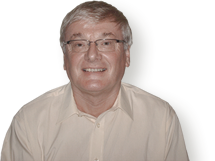 I'm Peter D Riley, I've been a writer for over thirty years and am the award-winning, international best-selling author of over 200 science books for children and teachers. I now write full-time, previously I was a Biology teacher then later the Head of Science of a large comprehensive school in the North of England. 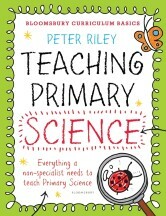 Teaching Primary Science is part of a brand new series for primary teachers, providing a full guide to teaching primary curriculum subjects. It's aimed at the non-specialist. Science activities for children and students. A real cabinet of curiosities! Mini beasts – a beautiful science activity? What are your memories of science at high school? Follow the links below to find out more about my books and book series, as well as downloadable resources for teachers and parents using my books. I can be contacted in the following ways. If you have a picture for the Natural World Photo Gallery or the Science Exhibition Gallery, please send it by email.